*This is clickbait. You have been clickbaited. Sucker! This weekend I got to see my nephews and SIL that I haven't seen for five years. They made a surprise visit to my folks' house on a day that I'd planned to stop by anyway, which was very fortuitous. They live in Texas, and there is some history between our families that has caused a rift, but we're all incredibly glad they came. The boys are 10 and 7, and very much into Doctor Who, the 10 year old moreso. The 7 year old is more of a Whovian-by-proxy, since he's into whatever big brother is into, although he's really into Portal 2 and Minecraft. 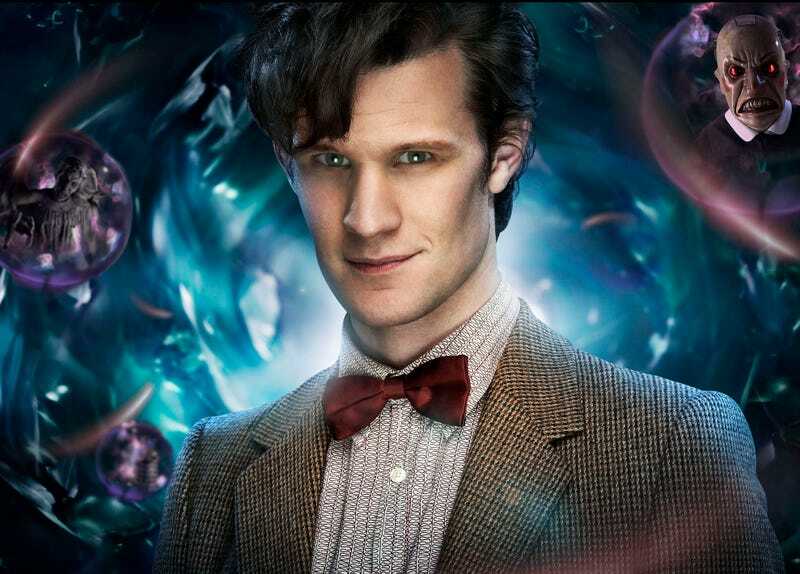 The 10 year old's 11th birthday is coming up, and his favorite Doctor is the 11th, Matt Smith. He's asked for a fez (it's cool, the kid comes from a long line of nerds), and I found a fez and bowtie set I'll be getting him. I also found this, and I'm wondering if I should buy it. It's a copy, but do you think it would be okay for a 10 year old? Or, should I be a better Crazy Aunt Waffle and try to find the real deal? I have about a month.